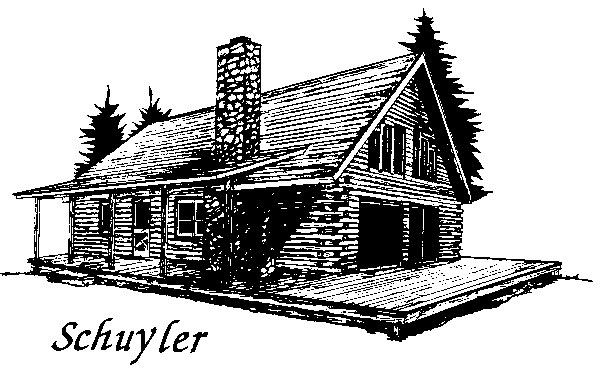 The Schuyler model log home is our most popular model. We call this a deluxe model as it contain many nice features including French Doors and gable end glass , a dormer to give an upstairs master bedroom with its own bathroom and large walk in closet, a sliding door for an upstairs deck if desired and a loft/sitting area. Also a full length porch with room to enjoy the outside. 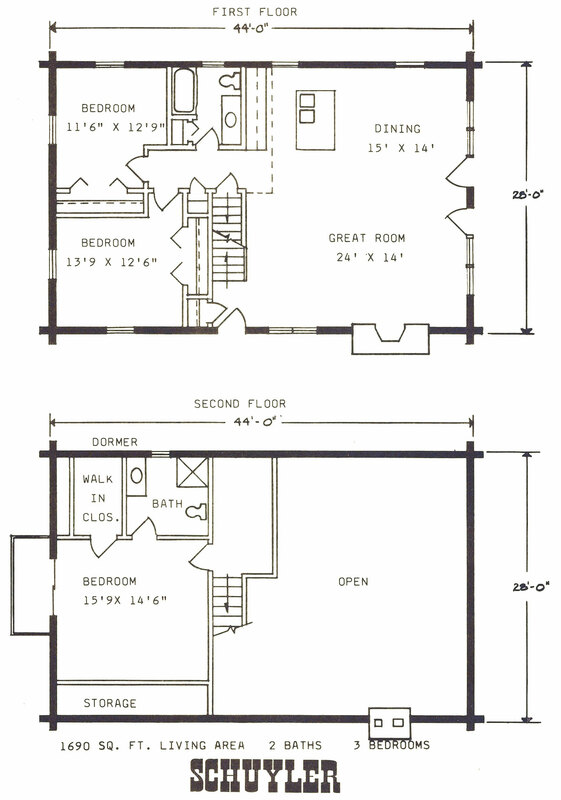 It also has the very popular open great room and dining room with cathedral ceilings on that half of the house and room for an optional fireplace.